HomenewsAnalysisU.S. Shale DUC Wells: Time Bombs Waiting To Go Off On OPEC? 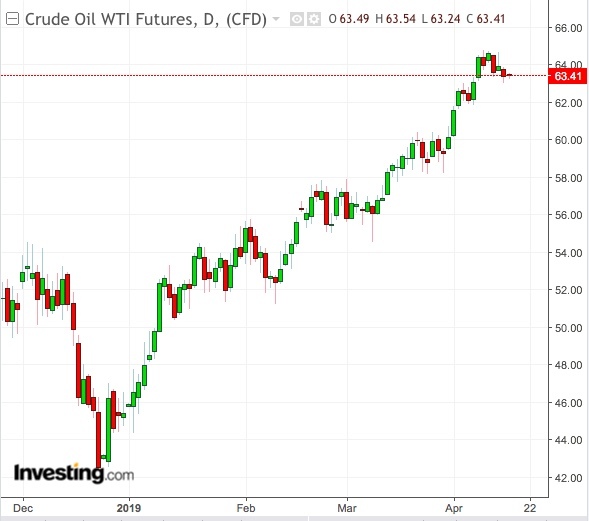 “Oil prices have been climbing steadily throughout the spring, with WTI increasing by more than $20/bbl from lows reached in early winter. But don’t get too optimistic that supply and demand is coming closer together. Hiding in the shadows is a huge pent-up supply of tight oil in the U.S. waiting to be unleashed on the market in the form of drilled but uncompleted (DUC) wells”. The above are the opening lines to a story headlined “U.S. tight oil is a ticking time bomb for recovering prices” by JW Energy. What’s remarkable is the article is not from this week. It was published in the summer of 2016. As startling as the bust-to-boom saga in oil has been since December, equally riveting are the dark clouds forming over the market as pessimists point to the ever-capable threat of shale crude returning with enough force to offset the impact of supply cuts by the Saudis and Russians. And central to that shale comeback could be the DUCs—the same silent actors in 2014-2017 crude shakedown. Then, as now, the drilled-but-uncompleted wells could be ticking time bombs to the oil rally, spurring drillers to finish what they had started once price and other motivations were right. Data from the Energy Information Administration (EIA) shows DUCs hitting a record high 8,504 in February. Then last month, that number declined for the first time in four years, though the change was hardly anything substantive. In March, producers drilled 1,388 new wells and completed 1,392 —taking another four from the DUC inventory, which fell to 8,500 from its previous high of 8,504. Despite a 40% rally in U.S. crude’s benchmark this year, shale drillers have been surprisingly restrained in not rushing more barrels to the market than necessary. Many have vivid memories of an industry beset with bankruptcy during the collapse of four years ago—and know how unforgiving shareholders and bankers would be, if that were to recur. Therefore, they’ve been prioritizing investor dividends and cash flow this time around, disappointing oil bears who had expected shale output to rocket and neuter the oil rally once WTI got beyond $50 per barrel. The U.S. benchmark held above $63 in Tuesday’s early trade in Asia. But latest estimates from the EIA show that U.S. crude production could be creeping higher. Output from the country’s seven major shale formations is expected to rise by about 80,000 barrels per day (bpd) in May to a record 8.46 million bpd, according the agency. Total crude production, including that of non-shale resources, hit a record high of 12.2 million bpd last month. Crude exports also reached an all-time peak of 3.6 million bpd in March. To veteran industry participants like John Kilduff, these were signs that U.S. shale could come roaring back, especially when a network of new pipelines to carry more production out of the country materializes by the end of the year and brings more DUCs into play. “The rise in DUC capacity is indicative of increasing discipline in the shale industry, where companies are being pressured by investors to improve returns. Obviously, overall output remains in an uptrend, and when new pipeline capacity enters service later this year, more of the DUCs will be placed into service. Of the 8,500 DUCs in total now, about half are in the Permian Basin, which spans portions of Texas and New Mexico and is currently the most active drilling area in the world. DUC rates in the Permian have seen explosive growth of more than 500% since 2014. It is here that oil supermajors like Exxon (NYSE:) and the newly-merged Chevron (NYSE:)-Anadarko (NYSE:) expect to see double-digit profits from crude that can be pumped for as low as $35 per barrel. Even if initial production averages only 500 bpd from a completed DUC in the Permian—and that’s rather conservative by any estimate—the basin has at least 2 million bpd of new oil waiting to gush.